Bob's practice focuses on trademark law, copyright law, trade secrets, intellectual property licensing, employment law, and commercial litigation. He also has worked extensively on complex and class action litigation. Bob is a member of The International Trademark Association (INTA) and is actively involved in international trademark registrations, with agents established throughout the world. For a decade, he taught trademark and copyright law as an adjunct professor at the University of Montana School of Law. Bob has been recognized as a Super Lawyer® in Montana for Intellectual Property and enjoys an "AV" rating in the Martindale Hubbell Law Directory. Bob has also been recognized by America’s Best Lawyers for his achievements and skill in the practice of intellectual property law in Montana. Bob undertook his legal studies at the University of Montana School of Law, receiving his Juris Doctor degree with high honors in 1996. His undergraduate studies were in philosophy at the University of Southern California, completing his Bachelor's Degree in 1984. Bob's outside interests and profession come together in the world of craft brewing. 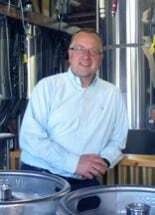 Several years ago Bob resurrected the historic Missoula brand, Highlander Beer and he is the founder the Missoula Brewing Company. Bob has assisted many of Montana's breweries with their trademark protection efforts and employment related issues. Bob is actively involved in providing pro bono services to Head Start Programs and the Children's Center in Missoula. He works with a number of other non-profit corporations, providing guidance on intellectual property issues and employment matters. Bob is an avid golfer, fly-fisherman and hiker. Bob has two boys and his wife Shannon is a commercial loan officer at First Montana Bank in Missoula. Together they founded the Celtic Festival Missoula, an annual festival of Celtic culture and music.